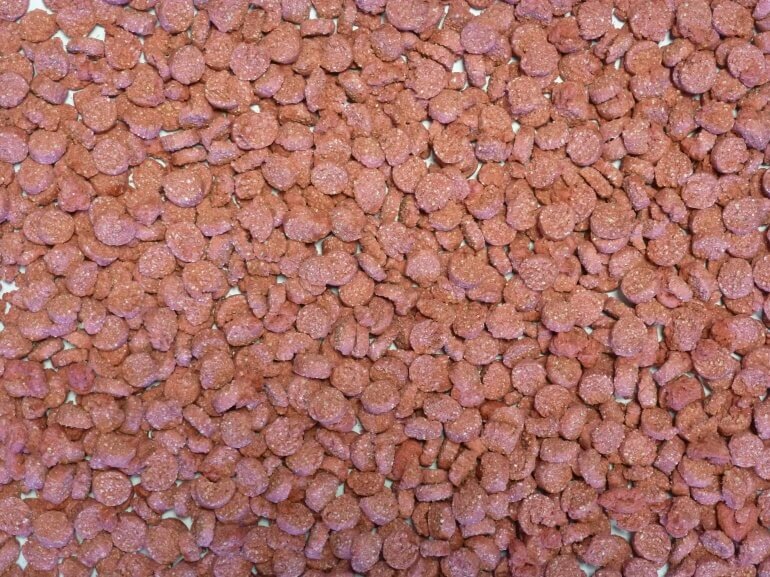 Extruded wheat discs (1cm diameter) with added red colouring. A feed material suitable for use in feed mixes for cats and dogs. This product is only available for trade supplies please contact us on 01302 700220 or by email on info@friendshipestates.co.uk.